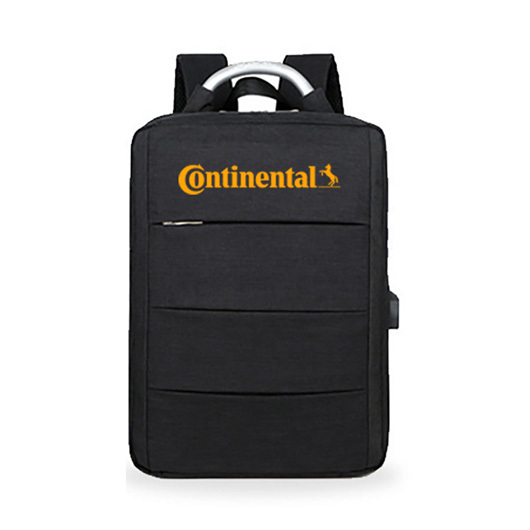 With a heather style look, aluminium handle and laptop compartment these bags act as a moving billboard for your logo. 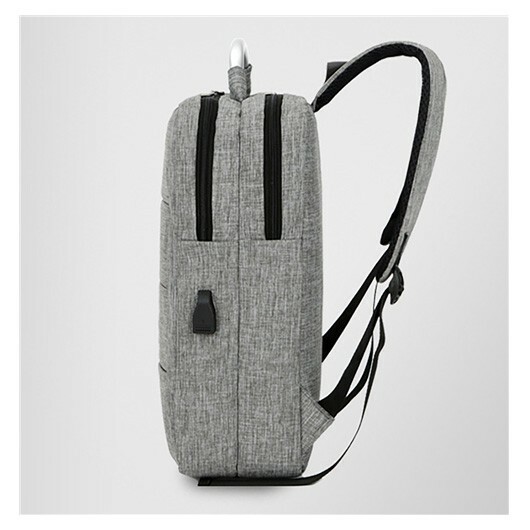 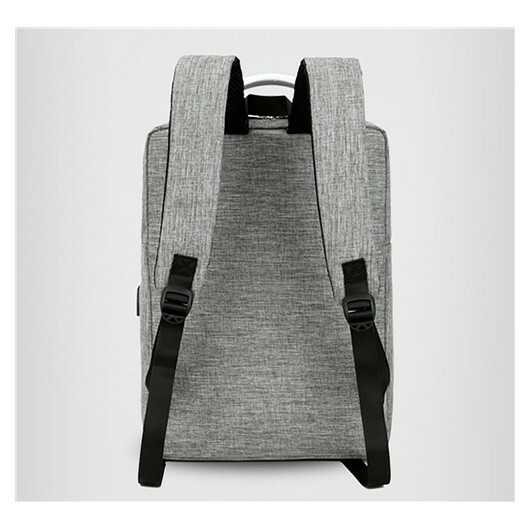 These modern backpacks make for a smart gift and are packed with modern tech features. 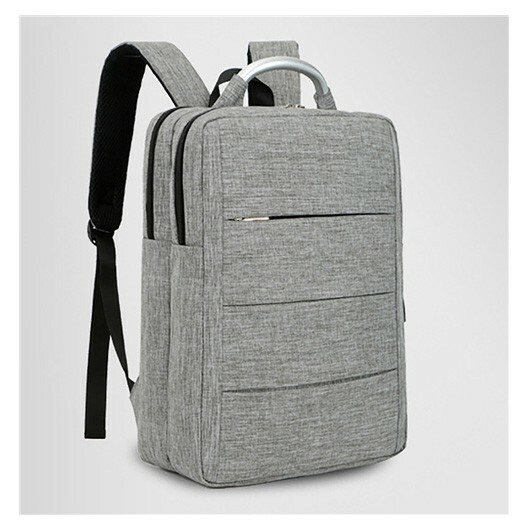 They are made from high quality sponge nylon material and are built to transport laptops or tablets. 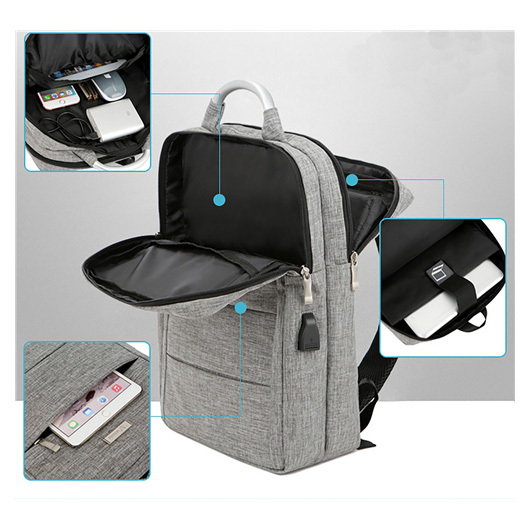 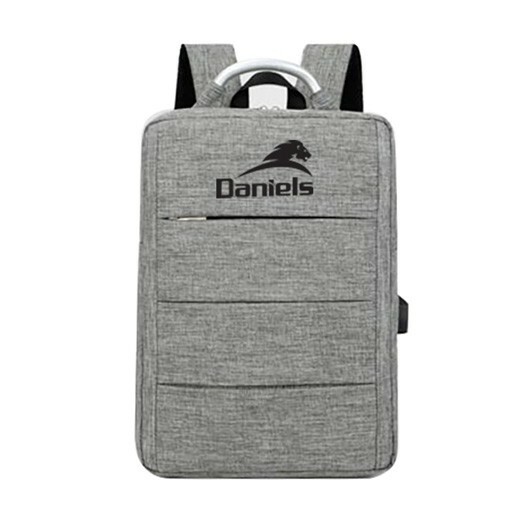 Features include: 1x front zipped pouch, 2 independent front/back compartments, 2 small pouches and pen holder in front, large pouch with black Velcro closure for laptop/tablet, USB charging port with charging cord attached, adjustable straps, aluminium handle.